To optimize Keyword Hero to remove (not provided) from your organic Google Analytics reports and to bring back the users’ search keywords, you may choose between two different attributions models, the GA standard model, and a “last direct click” attribution model. 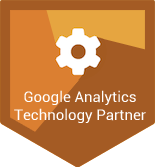 Google Analytics has a so-called “last indirect click” attribution model. 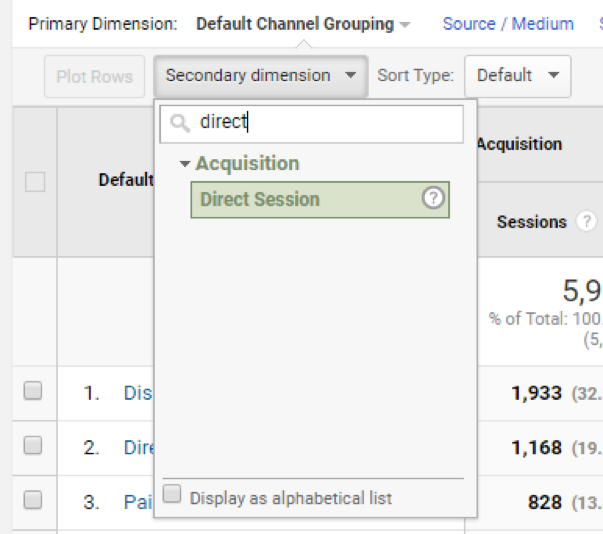 Google Analytics often attributes direct sessions (ie. those that are started by entering the URL / domain in the browser) to indirect channels, such as search. 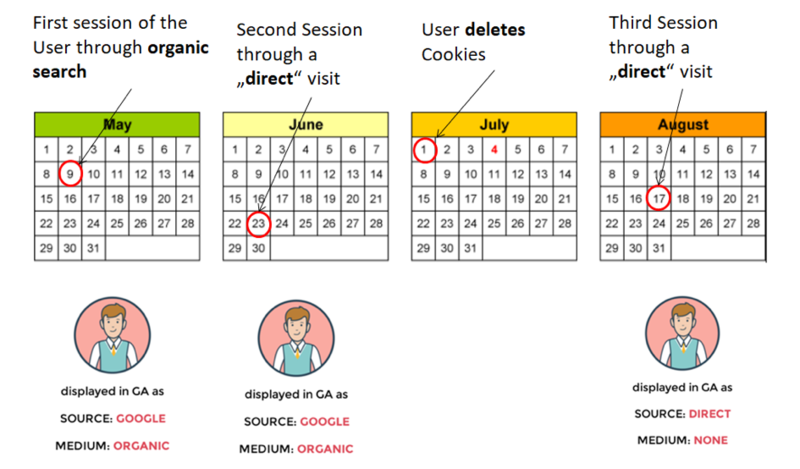 This happens when the user originally came from an indirect channel and returns through a direct session with the same GA cookie, which expires only after 180 days. 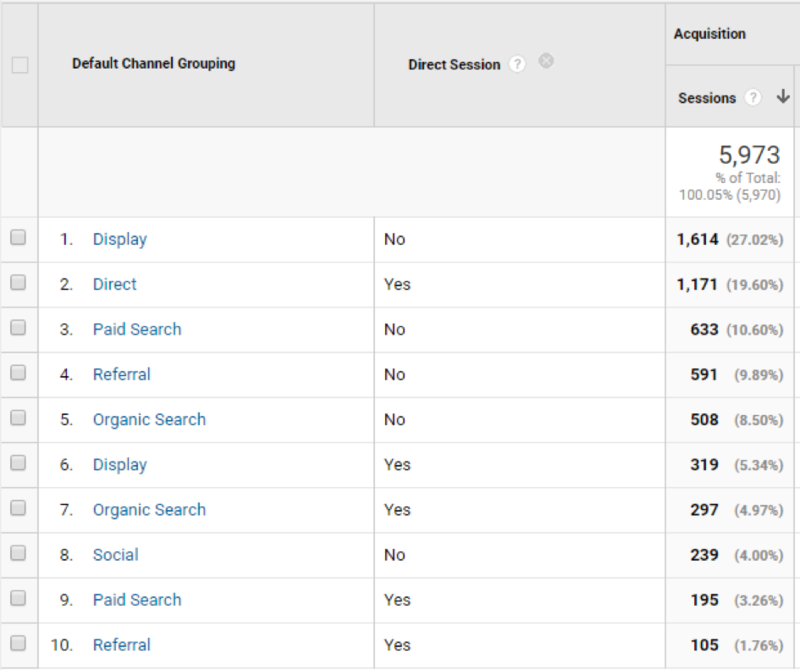 Google Analytics often attributes direct sessions (ie. those that are started by entering the URL / domain in the browser) to indirect channels, such as organic or paid search. 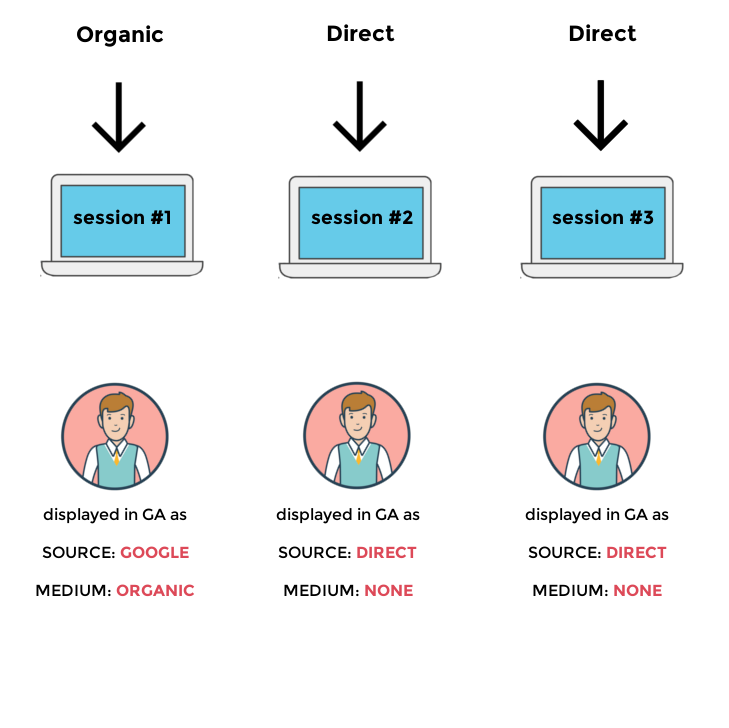 GA attributes: Search = 30 sessions; direct = 0 sessions. The last click model attributes: Search = 1 session; direct = 29 sessions. In many cases, there are companies where more than 50% of the “organic” sessions are really direct sessions. The same is true for paid search. 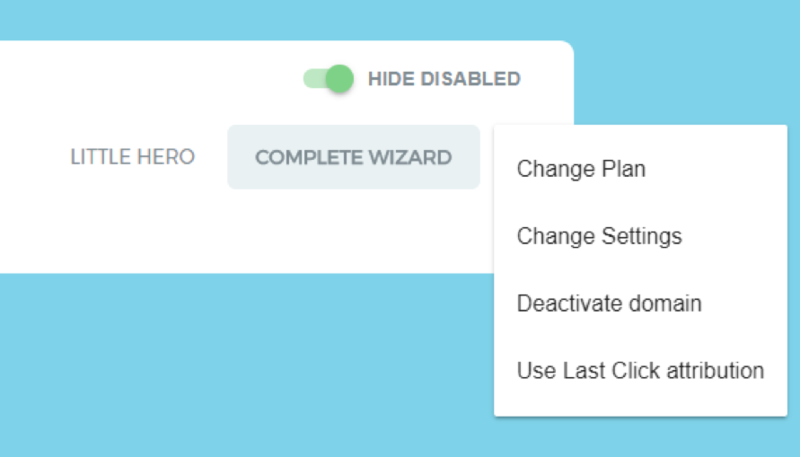 Keyword Hero allows you to select the last direct click attribution model. It attributes to whatever channel the session originated from and doesn’t take any history of the user into account. If you are interested in your SEO performance, we recommend using it. It gives us a much clearer picture of where traffic really comes from. Log in to your main Google Analytics account and navigate to Channels or Source/Medium. 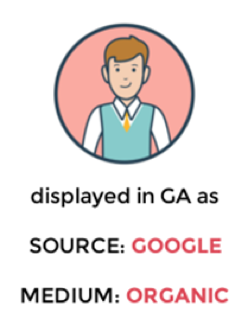 To check your traffic attribution, you must choose your main GA View, not the Keyword Hero View. The secondary dimension splits the report into direct and non-direct traffic and allows you to analyze direct sessions across other channels than just search. 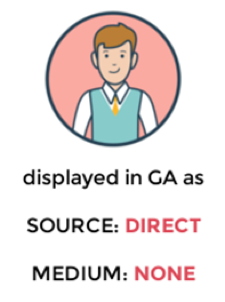 What we see is that apart from the Direct Channel, all channels are affected to varying degrees by this GA’s attribution model. In this example, of the 805 sessions that have been attributed to Organic Search, only 508 are “real” organic sessions and 297 (36.9%) are really direct sessions that GA only attributed to the channel “Organic Search”. Have you ever noticed that you can usually see more sessions from Adwords in Google Analytics than just clicks in AdWords and have wondered why the clicks and sessions in Google Analytics are so far off? The screenshot below is from the same account and time period as the screenshot of the Channel View above. As “real” a.k.a. direct paid search traffic, we now see only 633 sessions and are therefore about 5% below the AdWords clicks. How do I change the attribution model? You can select the attribution model in your profile for each individual domain. 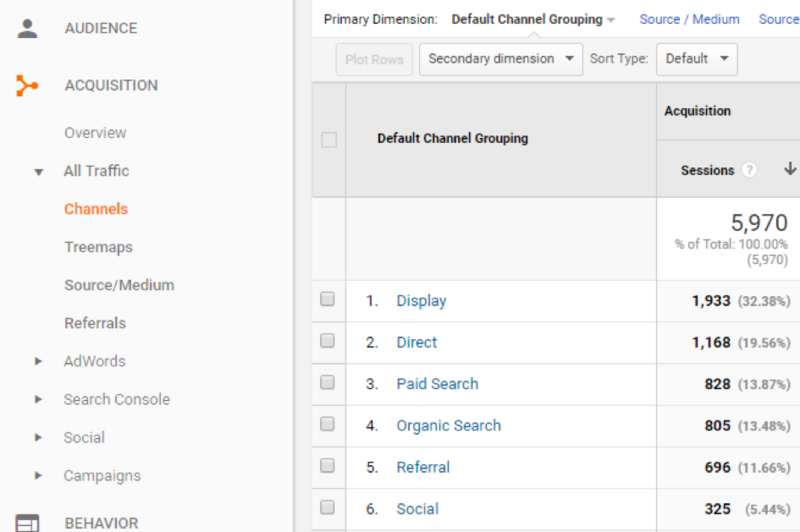 By default, the Google Analytics attribution model is selected (last not-direct click). Click on “Use Last Click attribution” to switch to the last click model. If you decide to use the “Last Click” model, you will see the same number of sessions in your keyword Hero Property assigned to “google / organic”. However, those sessions that were really direct sessions, will have the keyword “(Direct_Session)” . These are the sessions that were really direct but were labeled “organic” by GA’s standard model. The correct answer, of course, is that it depends. Both models are correct and make sense in their way. You should use the attribution model according to the goals, that you pursue with Keyword Hero. … you only want to analyze brand traffic in the first place. … need precise comparability with the data in Google Analytics. … you want to monitor and optimize your SEO performance for generic search terms. Another advantage of the Last Click Attribution Model is that both match rate and the accuracy of attribution of the Keyword Hero will slightly increase. Cookie lifetimes, sessions and campaign timeouts. How long a direct session is attributed to the first original indirect session, depends on the setting of the “Campaign Time Out” in Google Analytics. By default, this is set to 6 months. To see the settings, navigate to the Google Analytics Admin area, select your property and navigate to “Session Settings” in the “Tracking Info” section. 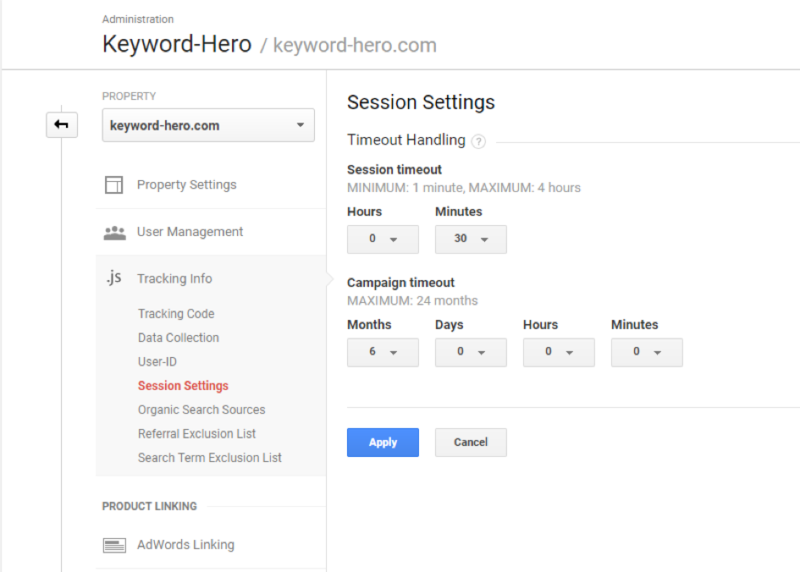 Here you can customize campaign and session timeouts in Google Analytics. 12:00 A user visits your site via the organic search and stays active on it until 12:05. Afterward, he leaves the browser tab open but continues surfing somewhere else. 12:45 The user returns to your page. Since the session has not triggered a hit for more than 30 minutes, it is expired. By reloading the page, the user triggers a new session. In a last click attribution model, this would be considered “direct” but it is again assigned to organic search. What does the Hero do when I select the GA standard model? If you select the GA standard attribution model, Keyword Hero attributes the keywords to sessions that originally triggered the session. It does it exactly like Google Analytics does, so the data is 100% comparable. Why can’t I use the dimension “direct session” in my KWH view? Unfortunately, we don’t transmit this data yet. But we are looking to implement it at some point in 2018. How many of my organic sessions are really direct? Why can't I use the dimension "direct session" in my KWH view?